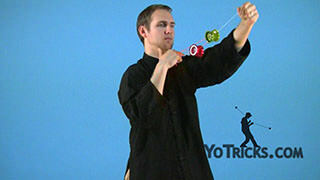 Learn how to do the 3A Yoyo Trick Flourish on 3 Mounts. 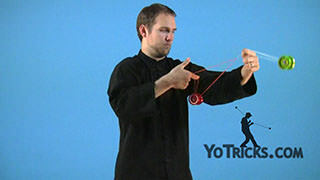 Flourish – On 3 Mounts Yoyo TrickThis trick is called the Flourish, it looks like this. 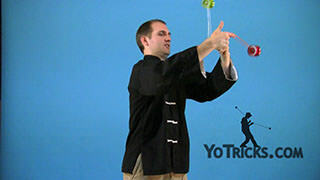 A Flourish is just a great trick to add a new element and a little bit of excitement to all of your 3A combos. Really all the trick is, is getting into different 3A mounts and you are just going to do Forward Flips with both yoyos, or Reverse Flips, however you want to do it. 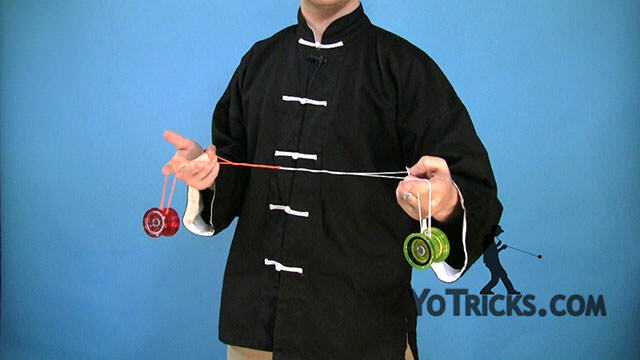 You are just doing it multiple times with both yoyos at once. 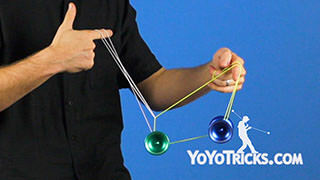 And like I said, it is really an exciting trick. 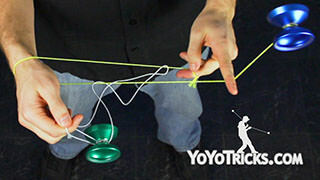 I have found that the easiest way to learn this trick is to practice from a Blue-Line Mount. 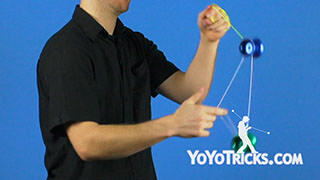 So you want to make sure that you know how to do that. So what you are going to do, is you are going to get into your Blue-Line Mount. 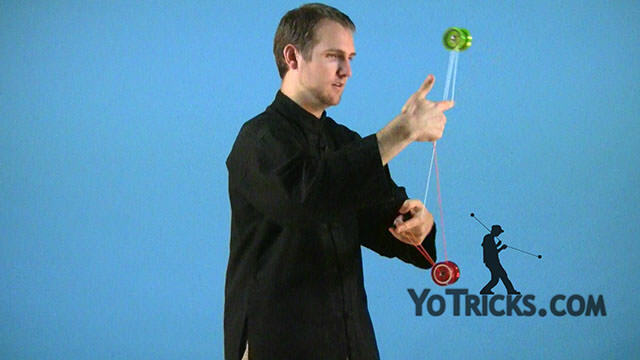 And when you mount that second yoyo you are going to leave it behind, rather than doing that forward flip that you would normally do. 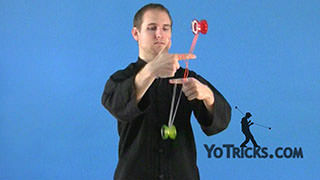 You want to get a little momentum with both yoyos, and just start doing your flips – kind of like a Brain Scrambler. 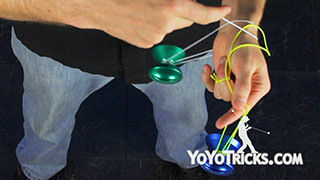 You will find that, just like when you are doing flips with a Brain-Scrambler, it is easiest to do if your fingers are close together rotating around really close. If you spread them out too much the trick gets out of control. 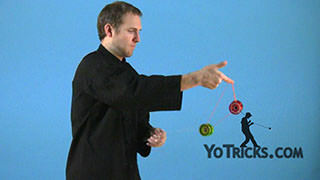 You don’t have as much control over the movement. 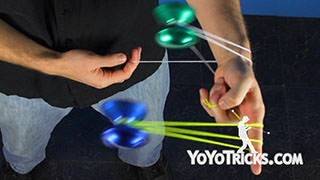 So you want to make sure, keep your fingers nice and close, nice and straight. 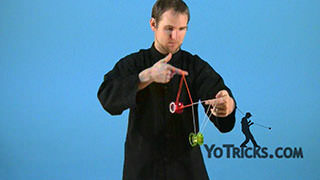 That is really all there is to doing the trick. It takes a lot of practice to get the feel down for it. 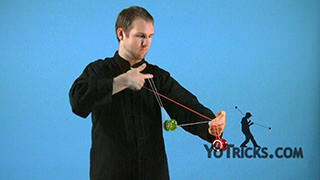 To end the trick, there are some techniques that will help you. When you get going, when you want to stop you just slow down and kind of give it a cushion, you see I kind of drop my hands. 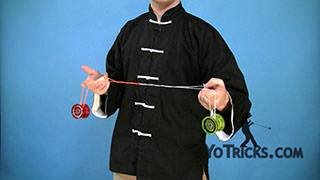 That really helps to slow the trick down keep the momentum, keep the yoyos from hitting each other. That really helps out a lot. 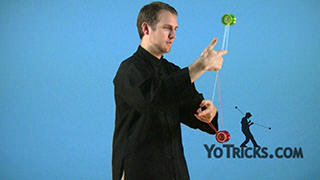 The other thing to keep in mind when you are finishing the trick is you want to end with your opposite hand forward. 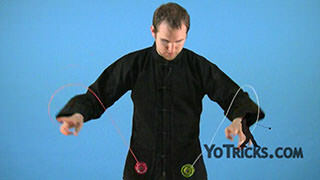 So if you started with your opposite hand in the back you do some rolls, you cushion it. You want to end with that left hand forward – because it started in the back. 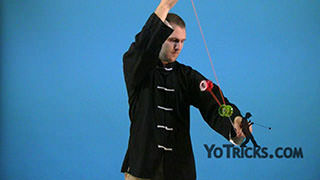 This just helps you to be able to get right into your combos easier. 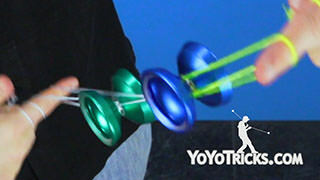 It really makes landing the trick and ending it a little bit more easy, than trying to end with the same hand forward. Once you’ve got that you can start experimenting with some other mounts. 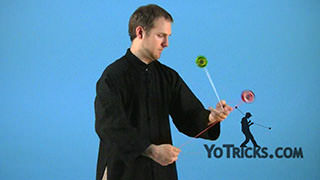 Another combo that I really like to do is from a Velvet Mount, doing a Flourish in reverse and dismounting. To do that you are just going to get right into your Velvet Mount. 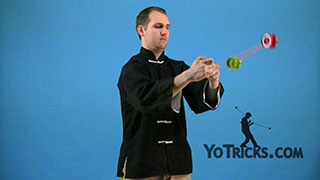 You can do a couple (Velvet) Rolls, go into the Flourish. 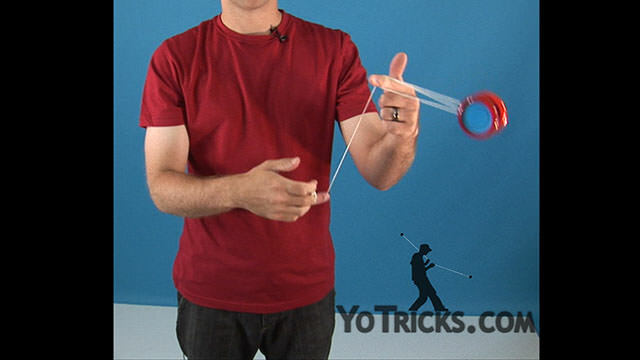 When you are ready just let the strings slide right off your fingers, throwing the yoyos out forward. 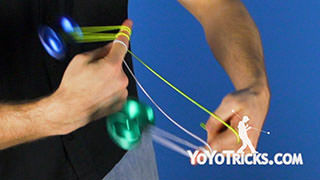 You shouldn’t get in any knots because it is not a Kink Mount. So that is a nice trick to practice without any knot headaches. The other trick that you can do is get into a Kink Mount, just like this. You are going to do a couple rolls back, and a couple rolls forward and you will find that you end up right back into the Kink Mount. 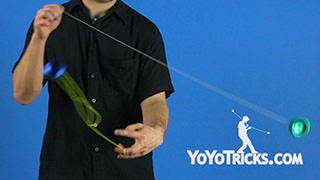 Again, that one is just a really fun trick, it really adds a new element into your side style tricks. That is the 3A Flourish.